I wrote on this subject in the fall in response to a paper that compared arthroscopic surgery to “clean up” a degenerative meniscus in the knee to a sham or placebo surgery. The authors of that study basically found surgery for arthritis of the knee ineffective, more specifically they found surgery to repair a degenerated meniscus is no better than doing a “fake” surgery. Their placebo surgery got the same results as their real surgery. Recently this paper was published; Arthroscopic surgery for degenerative knee: systematic review and meta-analysis of benefits and harms in the British Medical Journal which adds to the paper published in October. 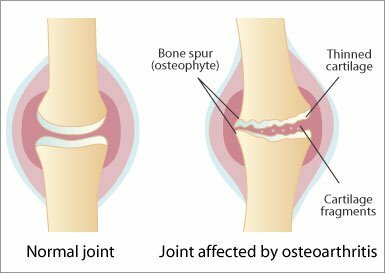 This paper is a review of papers published on arthroscopic knee surgery from 2000 through 2014 for cases of knee osteoarthritis. This paper, and its data, does not correlate to acute tears of the soft tissues of the knee including the meniscus. This is an important distinction to make because for acute tears this surgery still shows great benefit, only for degenerative conditions does the research say it’s ineffective. These authors looked for papers on the benefits, risks, and harms of arthroscopic knee surgery to attempt to come to a conclusion on whether or not this procedure provides more good than harm. The authors found that arthroscopic knee surgery for degenerative conditions are ineffective. Papers like this one, and the one I discussed in October, are important because this procedure is commonly called the #1 orthopedic surgery performed today. The national average costs of this procedure is $13,000, according to this paper this is $13,000 practically thrown away. If you feel better it is likely due to a placebo effect and within a few years the pain will be back. We are having a discussion about healthcare expenses today in our country part of the discussion needs to be focused on care that is cost effective, this surgery is not cost effective. The better alternative is therapy leading into a lifelong habit of exercise and/or physical activity to keep the knee, and other joints, healthy. A very promising alternative is injecting stems cells into the joint to stimulate repair and growth of the damaged tissues within the knee. If therapy has not worked for your I would look into this stem cell procedure before jumping into a surgical procedure which has weak support in the research. Our BStrong4Life program is another alternative to surgery you should consider, while we have talked a lot about it’s effects on strength and bone health, it also helps with stability and mobility of all joints including the knee. If you are having knee pain and looking for non-surgical alternatives call us for a free consultation and center tour.